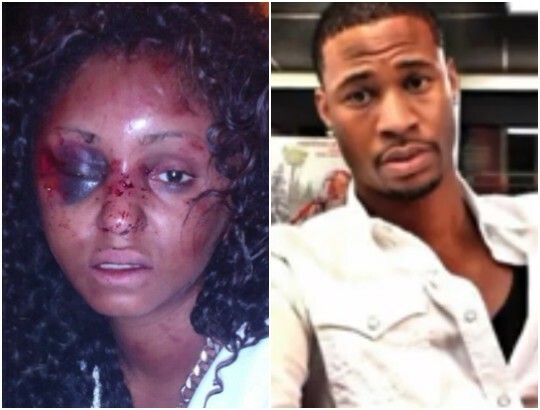 A US woman based in Los Angeles who was assaulted during a date with a man she met on Instagram last summer has shared her terrifying tale, hoping it will be a lesson to others. 32-year-old India Ali says she met James Baker through social media and eventually felt comfortable enough to set up a date with him last July. The two decided to go out for a night on the town. Baker posted several videos on Instagram of the two out drinking at a restaurant and enjoying themselves. Ali said she doesn’t remember leaving the restaurant with Baker or their ride back to the area around Los Angeles International Airport, but Baker posted videos of those events as well. The two ended up in Baker’s hotel room at the Westin hotel near LAX. When Ali woke up the next morning, something was wrong. “It was horrible. I woke up. I lifted my head up. I was lying in a puddle of throw up. So I look around and I see blood everywhere and my clothes everywhere,” Ali said. Ali then saw her reflection in a mirror and could see how badly she had been beaten. “Oh my God. I can’t believe that happened. What if they come back and kill me?” Ali thought. Ali was taken to Ronald Reagan UCLA Medical Center, where doctors determined she had suffered significant head injuries. “She had been punched in the head so badly that it had caused a swelling in the brain. The brain, when it expands, has nowhere to go so it forces down and that’s what triggers the vomit action. It pressures the fourth vertebrae,” Los Angeles County Deputy District Attorney David Berger said. Police used the Find My iPhone app to look for Ali’s cellphone. Investigators located the phone — and Baker — a few miles away in the victim’s car at the Courtyard Los Angeles LAX in El Segundo. Surveillance video from the Westin also showed Baker leaving the hotel in Ali’s car at about 2 a.m.
Investigators later found Baker had prior out-of-state convictions and was on bail for allegedly using fake credit cards, Berger said. Ali is hoping her story will remind others to be cautious about who they meet online. “I wouldn’t want anybody to go and meet up with anybody that they don’t know. Please don’t ever do that. … You have to value your life,” Ali said. Baker, who has been found guilty of assaulting Ali, had his sentencing postponed earlier this month. ITS AN EYE OPENER FOR ladies and youths of nowadays..we are recording more harm in social media than ever.when planning outing with unknown people,link up yr family and close friends .intimate them where u are and keep in touch..meet in open places,bar,mall.no night events..its horrible out there.lady,pick up your pieces and thank God for yr life..hope the yahoo yahoo guy ,a big coward be caught and thrown behind bars. LADIES SHOULD be very careful these evil days. To completely let down one’s guards on a first date is highly dangerous. That weirdo called Baker must have spiked that woman’s drink. Ladies should calmly reject every drink they did not see when it was opened. This minimizes the risks of being taken unawares like this. If this was in Nigeria, India Ali would have been dead by now, with one or two parts of her body missing. BUT THE PAIN HERE IS that most ladies never learn anything from a story like this. Only a few weeks ago I dropped off a young lady from Port Harcourt to somewhere in Calabar. It was around 9pm. She had been making calls to a particular guy for directions while in my car. So when she alighted, something prompted me to ask her who the guy was; whether she had physically met him before. And I was not surprised when her answer was on the negative. So I advised her that since it was a total stranger, and it was late at night, she should not continue to that meeting. I told her this risks involved, and shared some life experiences that one or two unfortunate ladies had had. IN THE END, IT LOOKED like the lady saw things with me, for she dropped her previous intensions, and consequently decided to spend the night at her auntie’s. She called that aunt of hers right in front of me before I left her. Metu Nyetu, are you dey sure? Are you tolded us the true? Bicos it fit be say that woman was change her mind and come follow you to your house and you are coming here to be lying upon all of us say the girl was go to her aunty house. Hahahaha. Metu Nyetu, I am look you with corna corna eye o.
I always come here to look for Bench! Lesson for all, when you are meeting someone for the first time I suggest it should be an open place. Even at that, some men are monsters. Social media is the worst place to meet a guy.Nothing good comes out of it.Ladies be wise and protect yourself-use your head else someone else will use it for you.I am particularly concerned about serial killers who pose as nice people on social media,understudy you and for no particular reason choose you for their barbaric acts.In fact,I have stepped up my duty of protecting myself by deleting facebook and instagram.I only chat with people I know on whatsapp and telegram and do not have time to waste on any stranger on social media.If you cannot restrain yourself from accepting strangers into your life,just do yourself that favour of uninstalling the app-it will go a long way to help you till you get a better control of yourself.All meeting should be in public places females!! !Don’t trust anyone.Be determined to be wise in your decisions and do not be a victim!!! Its a pity she had to go through this-its a direct result of her choices. I am determined to learn from other peoples’ mistakes.thanks for sharing and speedy recovery. Must she be that desperate. Pekin wey no dey hear im mama no dey hard to know. This is a serious matter! Girls will never learn from this. No…. think about this: you are not all that safe being with your husband or boyfriend of nowadays, it’s the one you met on Instagram that will treat you fine.